NAK is an ISO9001 / 14000,TS16949,OHSAS18001 registered manufacturer of Oil Seals and Technical Sealing Products for a wide range of applications. With 30 years of experience in manufacturing and continual improvements on quality and technology, NAK has not only secured its position on the global OE market but also become one of the top leading manufacturers of sealing products in the world. NAK has manufacturing facilities in Taiwan, China and Iran, and exports its seals to more than 50 countries of the world. NAK seals are being used in a wide range of industrial sectors including Automotive, Industrial, Hydraulic and Pneumatic, Construction and Mining Equipment. With new sectors and applications constantly being added, we now produce more than 80,000 items of seals. 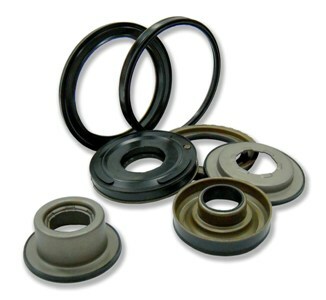 Our product range includes more than 60,000 seals in a range of Categories.